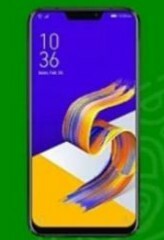 ASUS today announced that the ZenFone 5 Series (ZenFone 5Z) is scheduled to receive the Android 9.0 Pie system update in the very near future. It may take about one week for the system to complete the auto push. If the update notification/prompt is not received, it can be checked and initiated manually via the Settings > System > System Updates in Menu path.